The leaves are falling and so is the water temperature! That gets me excited, because the cool months are my favorite for big bass. The Santone M-Series jig is a top producer for me in cold water. I’d like to share when, where, and how I fish the M-Series. 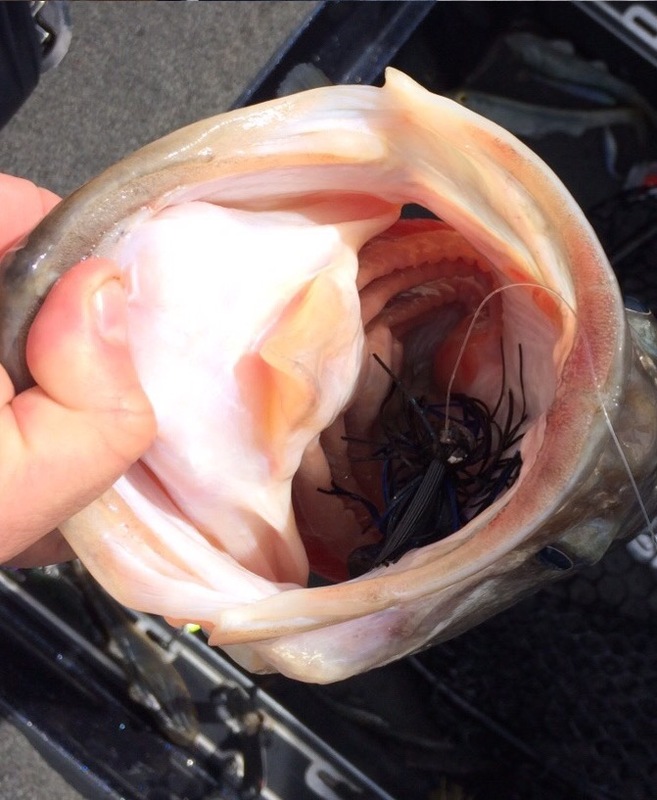 These factors are extraordinarily important when jig fishing, especially on Lake Fork. The vast amount of standing timber can make it seem like searching for a needle in a haystack. There are also times to put the jig down and opt for a different approach. My goal is to help you narrow it down and simplify what many find to be a difficult technique to learn. In my opinion, fish seem to bite jigs best during the colder months leading up to the prespawn period. 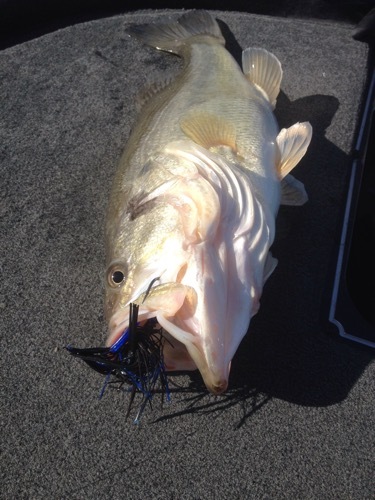 A football jig is a major player here throughout the summer and fall. however we are focusing on a traditional pitching jig for now. I usually check the jig bite in late October, but it doesn’t seem to become a viable pattern until mid-November. The early jig season is usually very productive because the fish aren’t seeing jigs go by on a daily basis and don’t seem as conditioned to the technique. 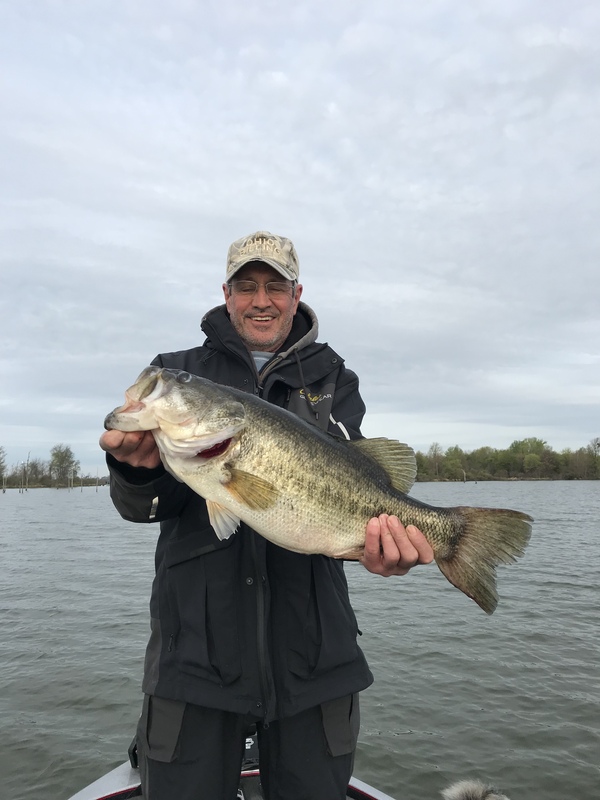 I continue to fish a jig regularly throughout most of March, but when the water warms and fish are comfortable venturing from ledges towards spawning areas the effectiveness of the technique seems to wane. An increase in fishing pressure may have something to do with it or it could be a transition in their primary forage base. I have had customers catch some really big fish later in the spring on jigs, however the numbers of bites are much lower and there seems to be better ways to catch them. As for determining where to fish a jig, I try to imagine the lake has zero standing timber and look for structure bass should be relating to in the winter and early spring. The stumps are just a bonus as cover. Fish use areas such as points, secondary points, and creek channels as they stage on their way to bedding areas. They then use the stumps as cover for safety and ambush of prey, but keep in mind they are there because of bottom contour, not cover. I find that sharp breaks are most productive throughout the cold periods. 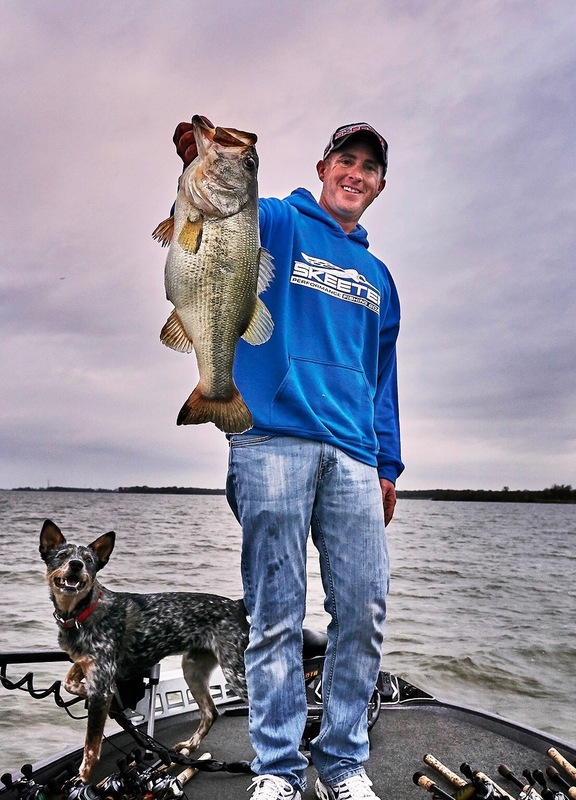 Bass seem to want to be close to deeper water as cold fronts are passing through on a regular basis during the winter. You will find this on the edges of points and secondary points, but most importantly along the creek channels. Creek channels are highways for the bass and baitfish as they travel to their springtime haunts, and they provide deep water access as well. Ditches and drains are just as important to pay attention to. Any area with a low spot where water would run to the original channel prior to impoundment is likely to hold some fish. Often, the hardest channels to read are the best. We can usually look at the standing timber and get a good idea where the creek channel is. The gap in heavily timbered areas, leaning stumps (as leaning stumps often lean over the creek), and the presence of live oak stumps can help you identify the original creek channel. Live oaks are often the biggest stumps in a given area and grow near a water source. 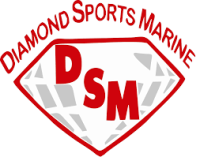 Built in maps or map chips on your depth finder can sometimes point you in the right direction, however they are rarely accurate as to the exact location of the channel. I also pay attention to where the trot lines and jug lines are set if I am in an unfamiliar area, as they can sometimes help lead you to the channel. Learning how a particular channel runs takes time and patience, but it is worth the effort. Being near the creek channel, drain, or ditch isn’t enough. I have found that boat positioning is a critical factor in success. I like to keep my boat in the deeper channel and cast to the top of the ledge and bring the jig back as it rolls over the tree roots descending down into the channel. If the low spot or channel is too narrow I will position the boat outside of the channel and cast across it, making sure to work down the outside bends. The outside bends often have the steepest ledge due to the original current flow prior to impoundment. I always get excited when fishing the outside of hard channel bends, as these seem to be prime big fish hangouts. Creek channel fish can be in a wide range of depths. In any given creek, I believe there will be small wolf-packs of prespawn females staging in various areas along the way. Some may feel comfortable where the channel is 8′ deep and the top side of the ledge is 4-6′, and others may be in areas where the channel is as deep as 25′ closer to the mouth of the creek. The key is the ledge. I feel that the presentation is a matter of confidence. Most anglers I have guided or fished with tend to fish a jig much faster and with more of a hopping motion than I do. I find that an extremely slow crawl works best for me. Even though I’m creeping the jig along, I still feel the bite is a reaction bite, in that most of my strikes come as the jig rolls over a root or branch. With the slow approach, it gives you the opportunity to sneak the jig up to the bass without it feeling or hearing it coming. Often, if I work through an area slowly garnering a few bites, I will go back through it with a more aggressive “stroking” type retrieve to see if I can pick up a few more reaction bites. The M-Series is my favorite pitching style jig. The “arkie” style head design will hook fish right every time. Certain head designs naturally turn during the hookset. This results in poorly hooked fish. You don’t get too many bites jig fishing, so you don’t want to lose any. The M-Series solves that problem. Jigs are cheap, and I would make my own before I would use or promote a product I didn’t believe in. Hopefully this information helps give you some confidence in jig fishing. Right now is a great time to catch a giant bass on a jig. As always, feel free to contact me if I can be of any assistance on your upcoming trip to Lake Fork.